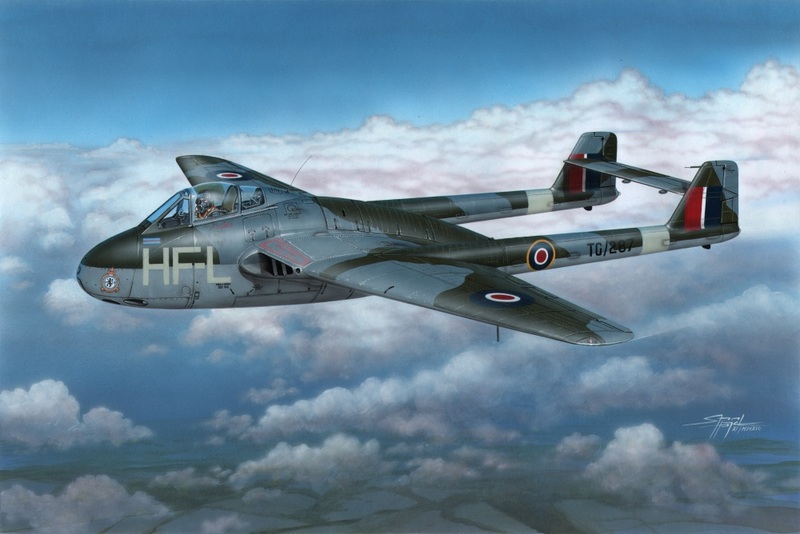 Development of jet fighter later to be named Vampire began in 1941 and related closely with development of H-1 jet engine, for which the engine section of de Havilland company was responsible. The engine was known later under its new name Goblin and its development was very successful. The Vampire was therefore ordered under Air Ministry specification E6/41 for an experimental machine able to be converted to a fighter plane. The design of the plane was fully adjusted to the new engine, which resulted in overall tiny dimensions of the plane, very low undercarriage and the tail planes being carried by two slim tail booms. The first prototype, unofficially named Spider Crab, flew for the first time on September 20, 1943 with G. de Havilland Jr at the controls. The trials were a success and an order for first 120 planes was placed in May 1944 and was continuously increased. 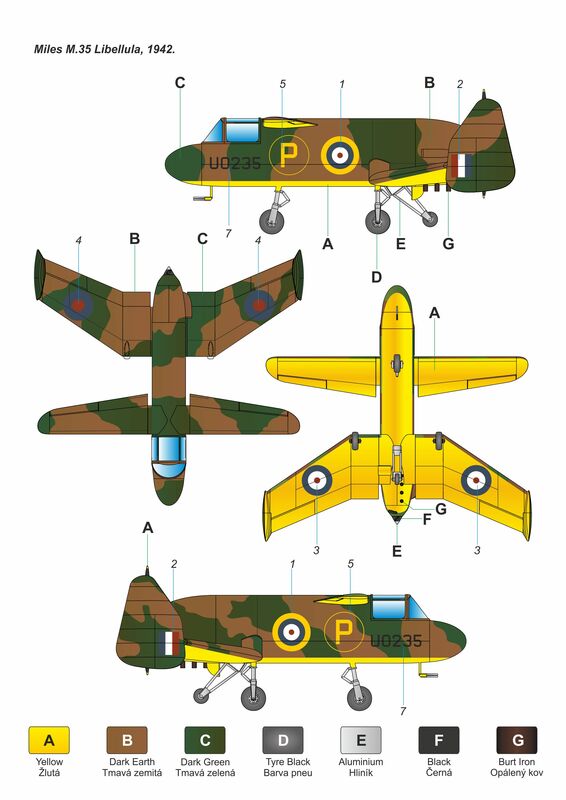 The production planes were licence-built by English Electric since de Havilland was busy producing Mosquitoes. The original name Spider Crab was rejected by the RAF and changed to Vampire Mk.I. In the 1930s, in the time of the rearmament, Germany tried to showcase their military power also by breaking aviation records. This effort, backed by the state, brought many new records including the most prestigious one, the world speed record. Of interest might be the fact that two German aviation companies rivaled to achieve the record, namely Heinkel and Messerschmitt, each of which had their opponents and sympathizers in the Nazi state offices. When the Messerschmitt Bf 109V-13 with pilot Dr.Hermann Wurster at the controls achieved the top speed record on 11 November 1937, the Heinkel team had already been working on a new record aircraft, the He 100. The speed record of the Bf 109 V-13 was at first broken by famous WW1 pilot Ernst Udet in the cockpit of the He 100 V2, later on 30 March 1939 also by Hans Dieterle who in fact achieved not only land plane top speed record, but also the absolute top speed record, which until that time had been held by Italian Macchi MC.72 racing floatplane. 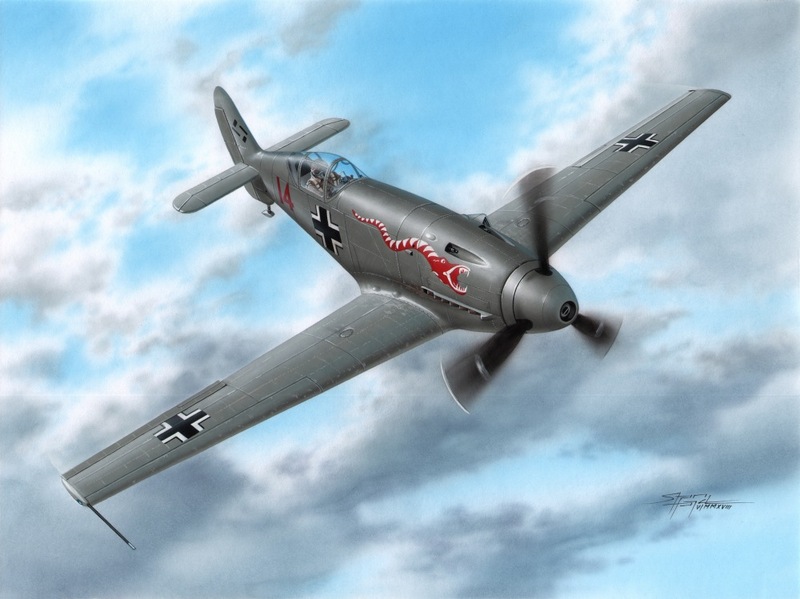 No wonder that the Messerschmitt’s answer came very soon as Fritz Wendel achieved 755.138 kmh in a machine that was for the record breaking attempt named the Me 109R to fool the public and make them think it is just an improved variety of the Bf 109 standard fighter. But in reality, it was a completely different type, that had been designed as Project 1059 and got designation the Me 209 by the German Air Ministry (RLM). This high speed version aircraft had been designed as a small low-wing monoplane with retractable undercarriage and pilot’s cockpit behind the wing. The plane was fitted with a Daimler-Benz DB601 water cooled engine with a system of wing surface radiators. The cooling water evaporated from those radiators and its supply was enough only for a 30min’s flight. The RLM placed order for a total of three speed prototypes and several further prototypes of the planned military fighter version. The first prototype Me 209V-1 (W.Nr.1185) with registration D-INJR was taken aloft for the first time on 1 August 1938 with Dr.Ing.Hermann Wurster at the controls and with only a half full fuel and coolant tanks. Trouble with the engine, cooling system, stability and also other issues occured right during the first flight. Not even the second prototype, the Me 209V-2 (W.Nr.1186) which made its first flight on 8 February 1939 did any better. What is more, it was destroyed shortly after during a crash on 4 April 1939. As at that time, the world record had already been broken by the He 100V-8, all effort was made to prepare the first prototype (Me 209V-1) for the record attempt. The machine got a unique DB-601ARJ engine, its tail fin was enlarged and the machine was also painted high gloss blue overall. On 26 April 1939, Fritz Wendel managed to break the record, his top speed would not be surpassed until 1969 by the improved version of the Grumman F8F-2 Bearcat Conquest I (gained 820.824 kmh). Although the record machine proved to be a success, the planned military version fell rather short of that. It was fitted with a larger span wing, a standard type of power plant and radiators and also carried a 20mm cannon and two 7.92m MGs. The wing and the empennage were modified several times, but not even the latest upgrades enabled the type to see military service and just boosted the Nazi propaganda. 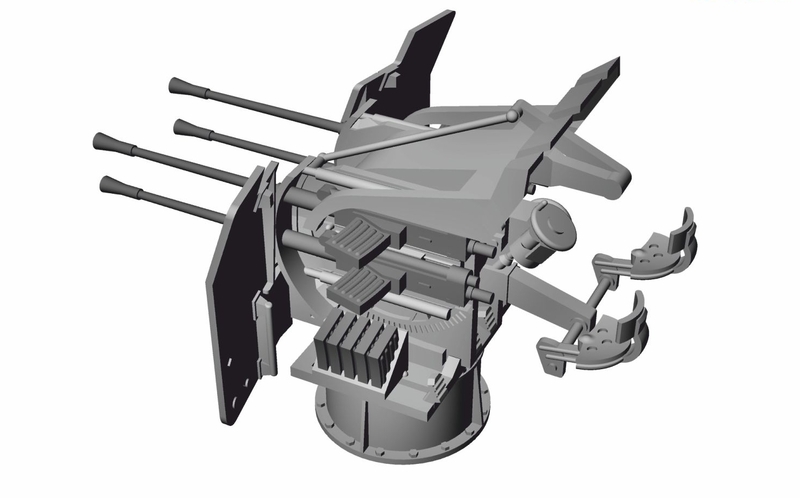 The Me 209V4 model contains two grey styrene sprues and one clear with a canopy hood. 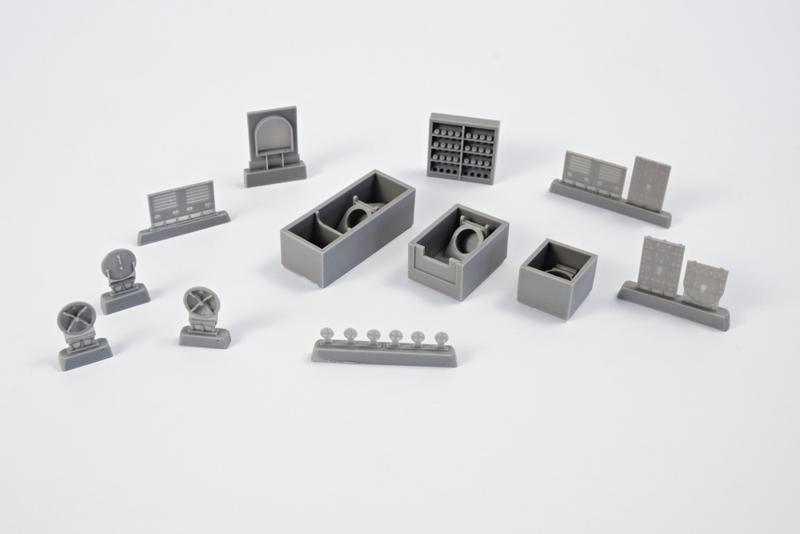 Smaller parts have been 3D designed and are injected into a metal-type mould. 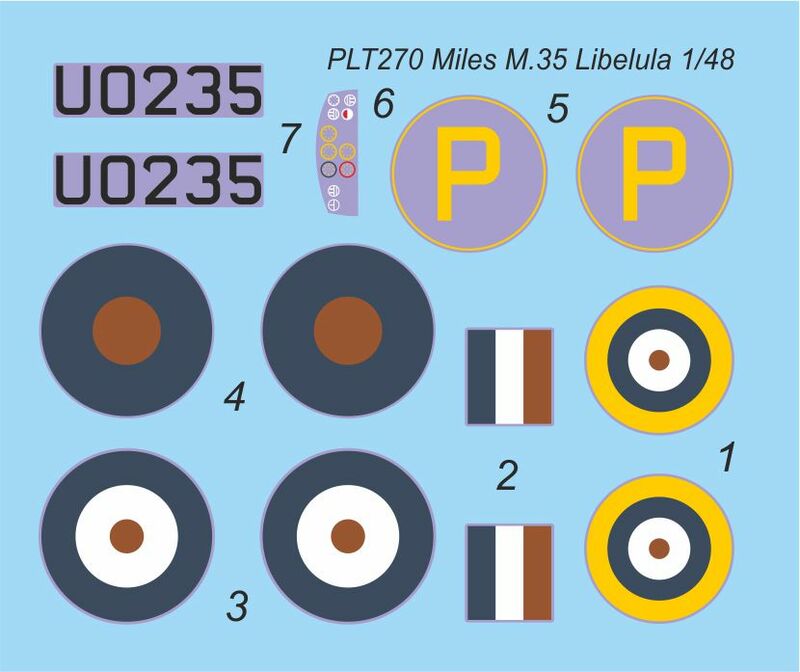 The decals offer markings for the V4 machine as it appeared in two various periods of its flying career. 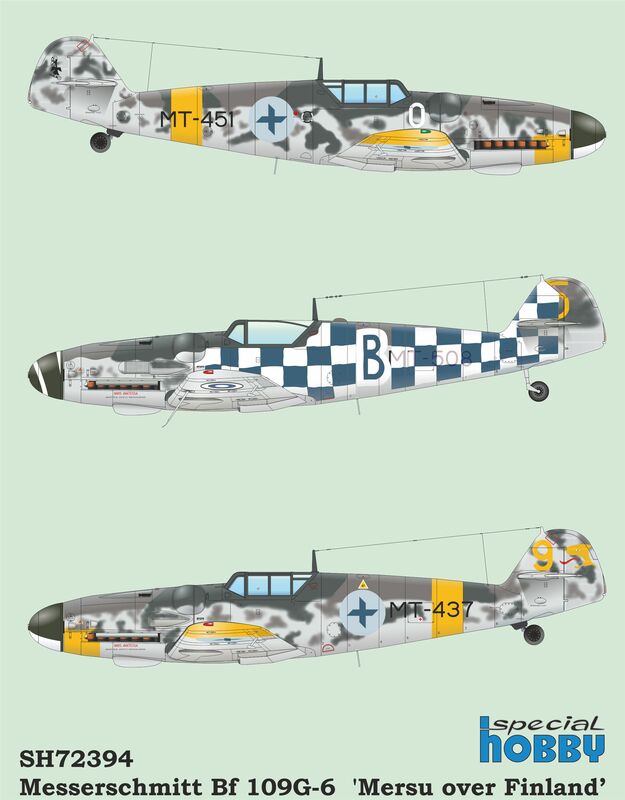 While scheme A shows the Me 209V4 as a propaganda machine with number 14 on its fuselage and a red-white snakes on either side of the nose, the other scheme brings the V4 with CS+BW registration as it flew during its test period. 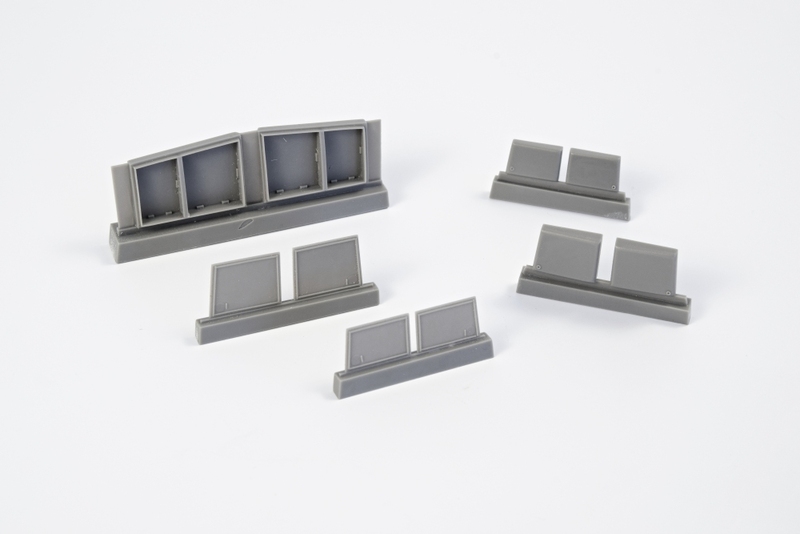 The set consists of open wing undersurface fuel tank bays and their covering panels. 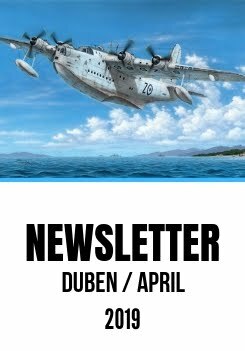 It has been designed for the Airfix WW2 Japanese carrier bomber aircraft model. 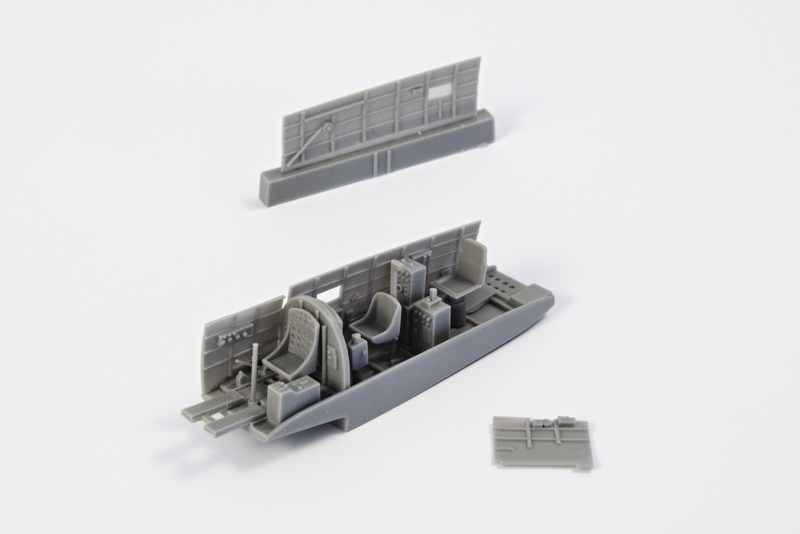 This interior set is tailored to fit the new Airfix WW2 Japanese B5N2 Kate carrier bomber aircraft model. 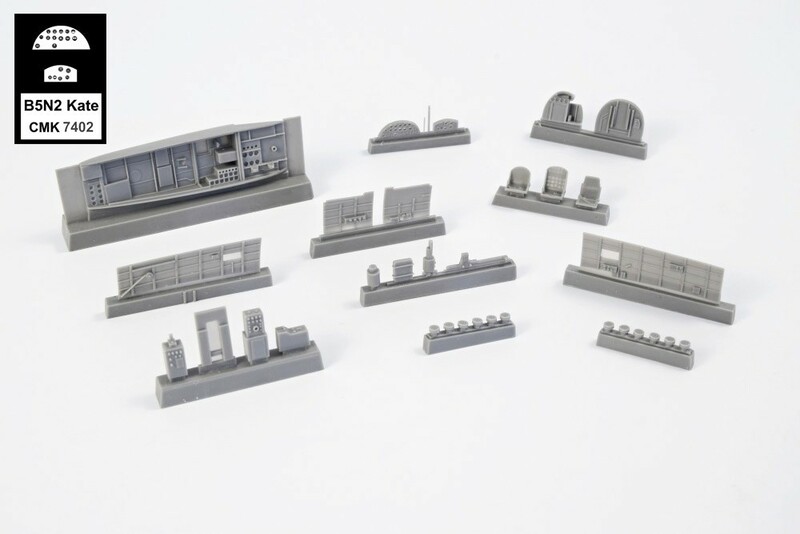 The set contains a new cockpit floor, bulkheads, instrument panel, pilot’s seat and rear gunner’s ammo boxes. The instrument panel comes with a pre-printed film with instrument faces. 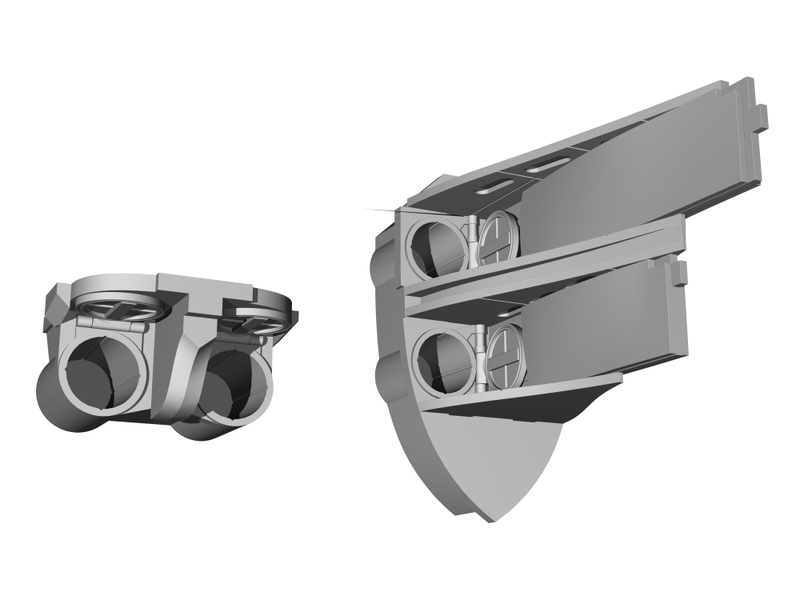 The set consits of all new wing rib structure for both the fixed and folded wing sections. Each of the sections gets two nicely detailed ribs, directly replacing the rather simply looking ones of the original kit. 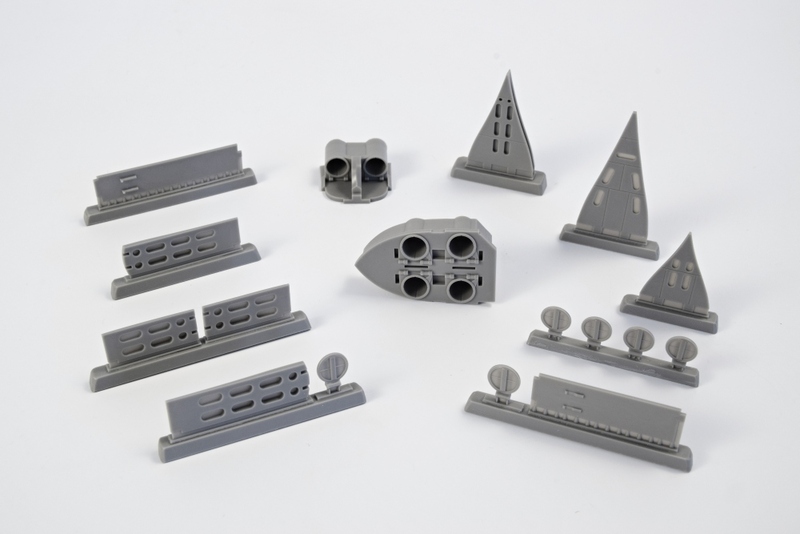 The set also contains the folded wing-to-fuselage supporting struts. 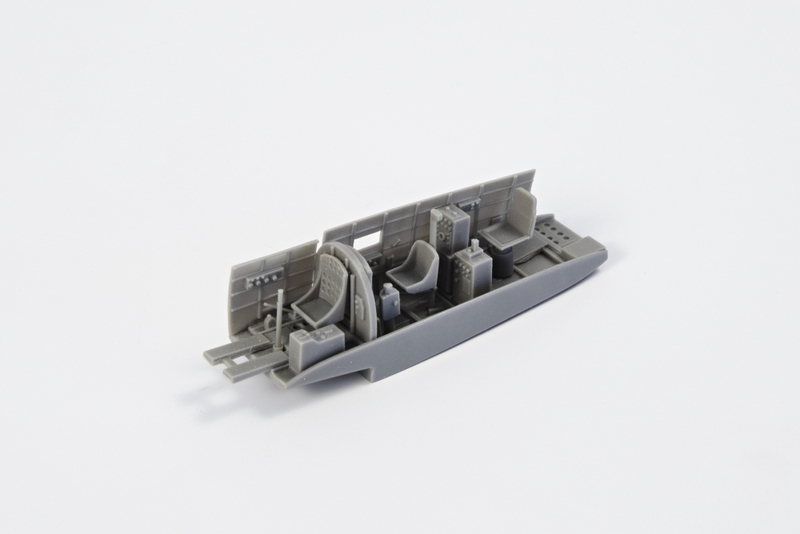 Designed to fit the new Airfix model of the WW2 Japanese B5N2 Kate carrier bomber aircraft. This detailed replica of the Japanese Type 99 bomb is an easy and direct replacement of the simply-loooking kit part. Made to fit the Airfix B5N2 WW2 Japanese naval bomber model, could be fitted also to another models of WW2 Japanese aeroplanes. 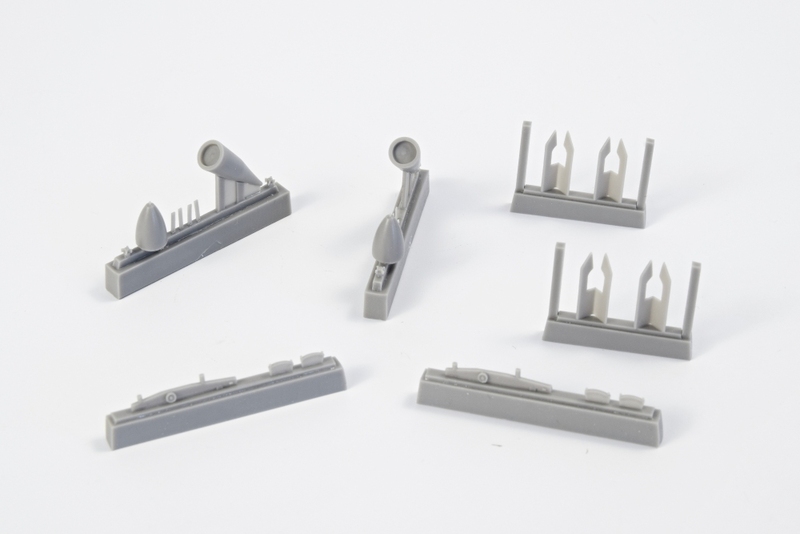 Two superbly detailed Japanese Type 98 (250kg) bomb replicas come with their underwing racks, none of which is offered in the original kit. Made for the Airfix model of the Japanese WW2 B5N2 Kate carrier bomber, could be fitted to many other models of Jap WW2 aeroplanes. 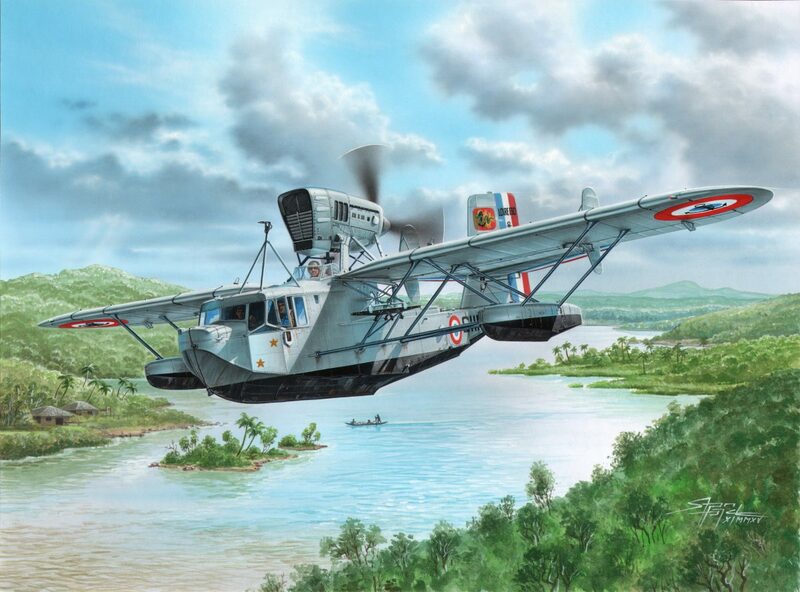 The CASA C-212 cargo and transport aircraft feature double-slotted flap wings giving them excellent STOL capability. 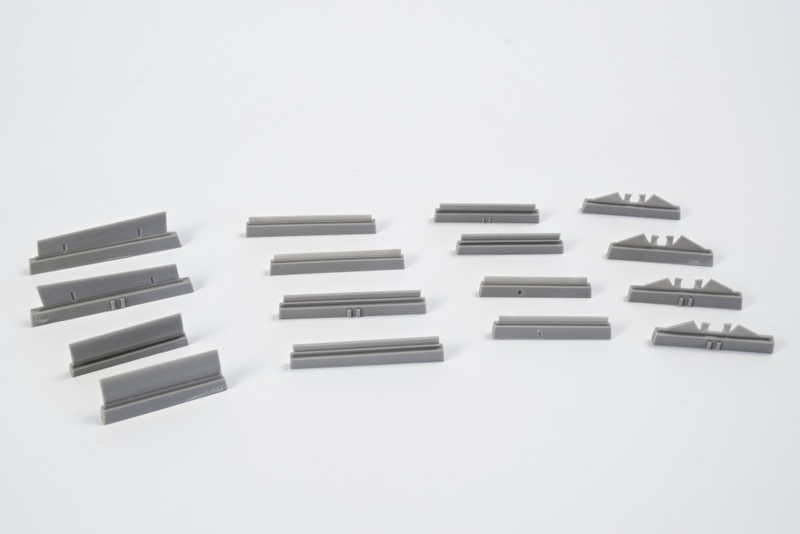 This set consists of these double-slotted flaps in their down position and is designed for the Special Hobby kit. It comes also with the wing internal structure and the flap hinges. 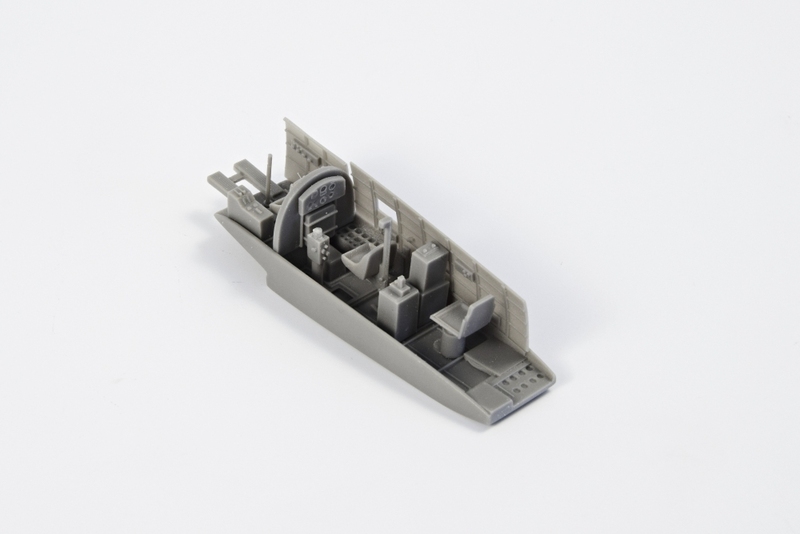 The Revell’s 1/72 U-boot typ IX model features the bow and stern torpedo tubes closed. However, before the torpedoes were launched, the tubes were flooded with water and open. 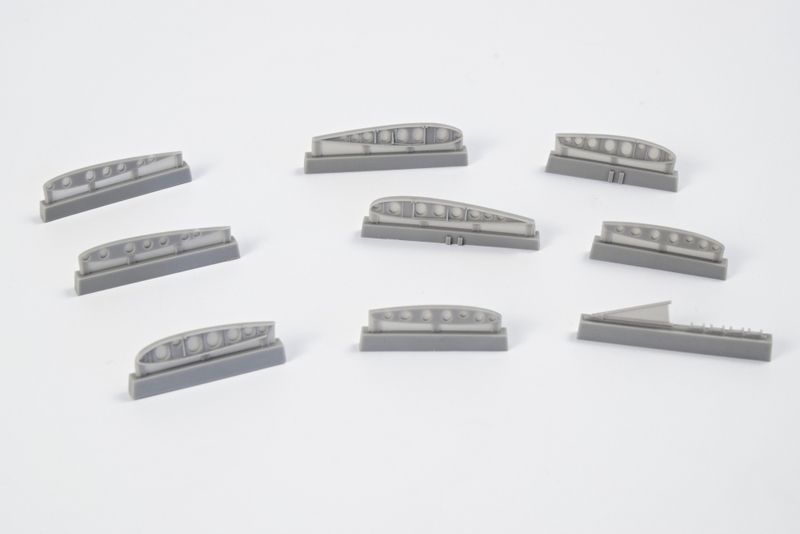 And this set offers detailed resin cast bow and stern torpedo tubes with their muzzle door open. 3D-designed, master pattern parts produced on a 3D printer. In the early years of the war, enemy’s submarines would attack and sink solitary ships with their guns while emerged on the surface, thus saving their precious torpedoes. 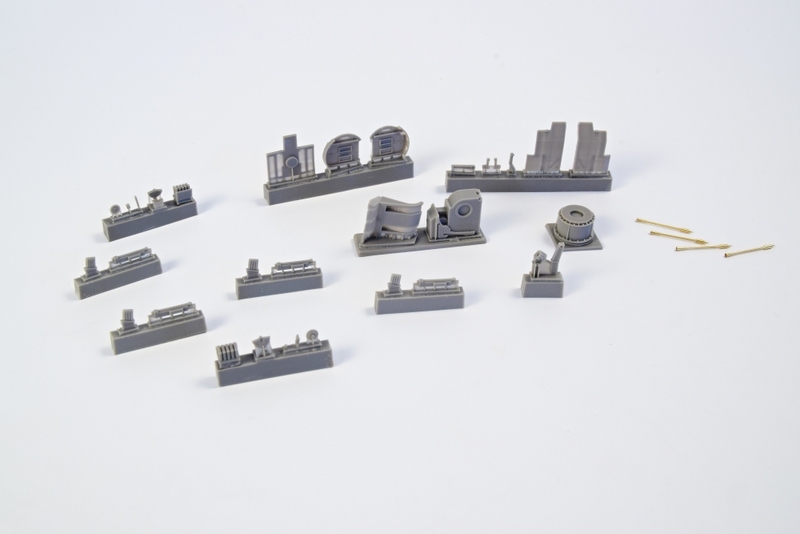 This set brings open deck hatches and open 105mm cannon ammo box. 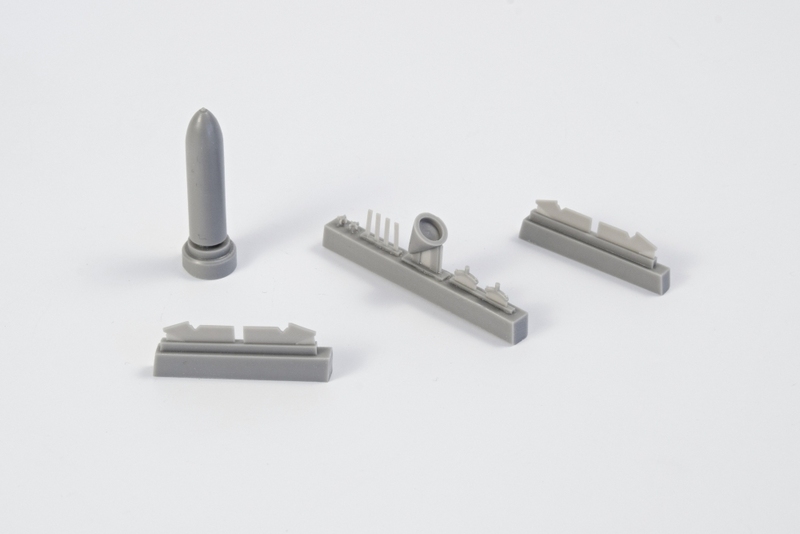 The parts were 3D designed and masters produced on a 3D printer. 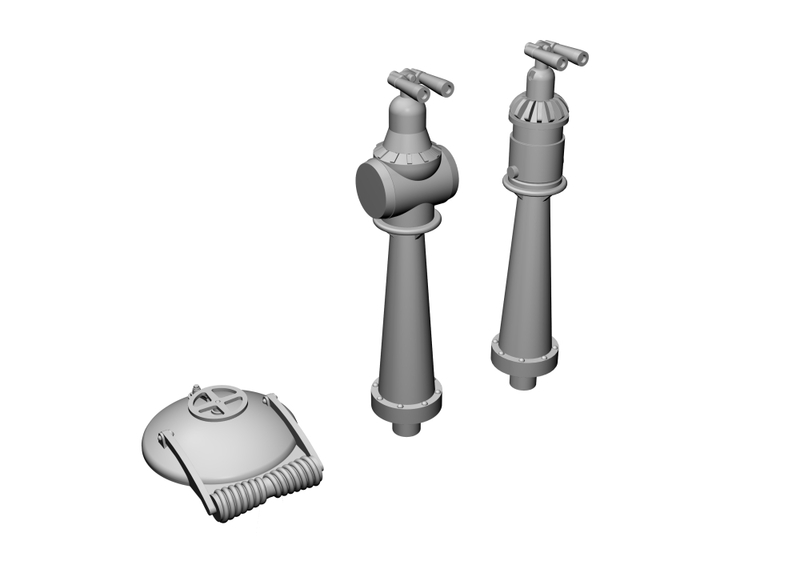 The sub’s conning tower will no doubt benefit from the addition of a rangefinder coupled with a telescope and a manhole hatch which replace the styrene kit items. 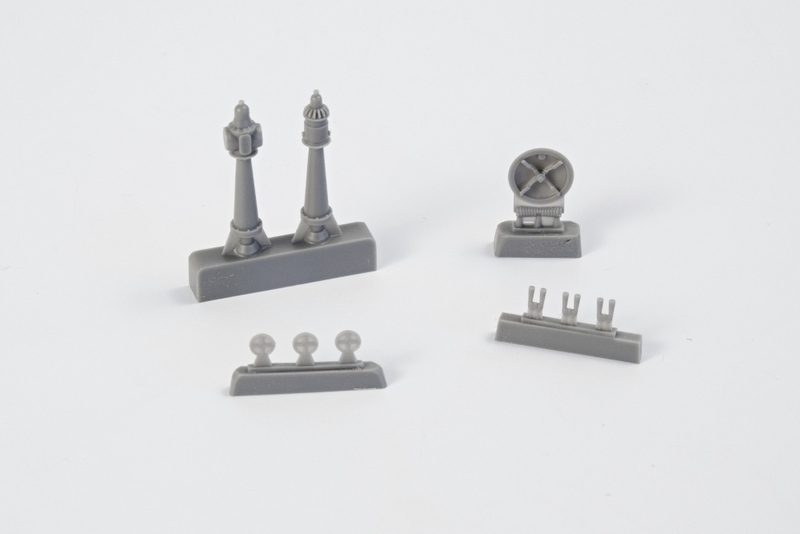 The new resin cast parts also offer much higher levels of detail. One of the rangefinders offered is the type already in the kit, the other is of a different, later style not featured in the kit. During the Second World War, several various AA gun configurations appeared on German submarines. Some of the Type IX as well as the earlier Type VII submarines were armed with the 20mm Flak-Vierling four-barrel guns (Vierling = quadruplet). The Flak-Vierlings were used also on other vessels of the German Kriegsmarine as well as on Wehrmacht’s AFVs. 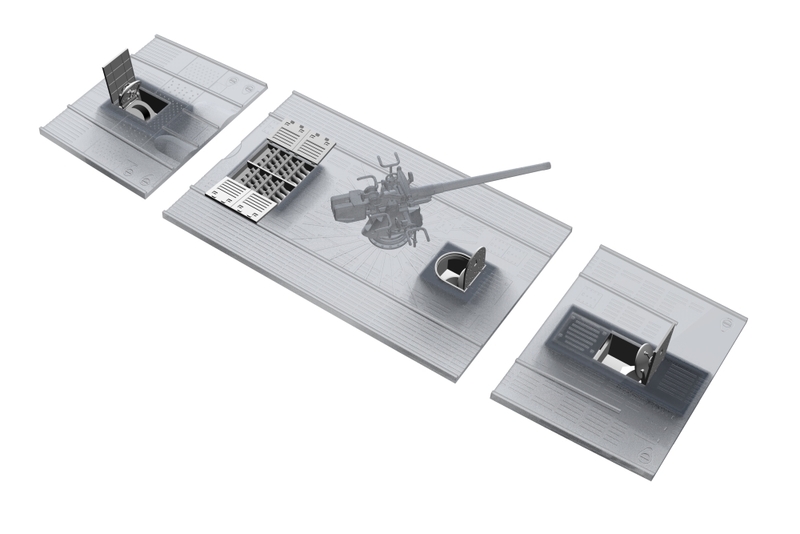 This nicely detailed, 3D-designed set contains resin parts, turned metal gun barrels and a fret of photo-etched parts. Before the outbreak of the Second World War, Phillips & Powis Aircraft Ltd. was associated with several general aviation and training aircraft designs. 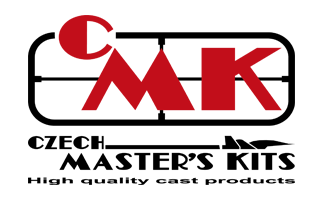 The chief designer, technical director and later also managing director and co-owner of the firm was Frederick George Miles and thus the company designs were produced under his name. In 1943, the firm was renamed to Miles Aircraft Ltd. In the pre-war years and also during the war, several famous training aircraft were produced by the company for the RAF, including such types as the Magister, Master and Martinet. Frederick G. Miles, however, aimed far higher than that and tried to penetrate to large companies´realm and to succeed with military combat aircraft designs as well. The aircraft proposed by Miles were of rather unorthodox design. In 1941 Miles tasked Ray Bournon with designing a small and light tandem-winged research aircraft, fitted with a pusher propeller and engine in the rear fuselage and the pilot´s cockpit in the front of the fuselage. This plane was to serve as a mock-up for a future proposed carrier-based fighter that should offer excellent forward view for the pilot, needed mainly during the critical phases of the take off, final approach and landing on the carrier. Another advantage of such concept would be that the wing-folding was not needed, saving the weight, increasing the plane´s performance and making its ship-board handling easier. On 1 May 1942, the research aircraft, known as the Miles M.35 or also the Libellula reportedly took off for the first time with the chief-designer himself at the controls (as the Miles´chief test pilot was reluctant to undertake the trials with the craft), but the flight was not a success at all, the plane showed no inclination to leave the ground and escaped a crash by a hair´s breadth. The reason was found in an incorrectly positioned centre of gravity. After this issue was mended, the aircraft proved to fly rather reasonably. Miles immedately approached the Ministry of Aircraft Production and the Admiralty with his concept of a new naval fighter plane, but it was rejected and the firm castigated because the Libellula had been designed and built in secret, without official authority. Miles also proposed a twin-engined, high speed, high altitude bomber aircraft with the same wing layout that should meet the requirements of Specification B11/41. To evaluate the flying characteristics of this bomber and prove the concept, a scaled version, the M.39 was built, known because of its tandem wings also as the Libellula. 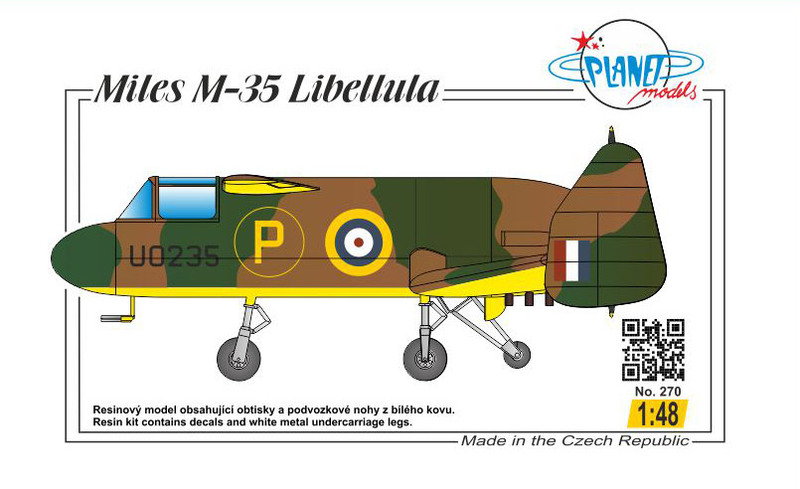 This all-resin kit of the unique Libellula research aircraft contains also white-metal undercarriage legs, a sheet of decals and vacuum-formed clear canopy hoods.